Inversion therapy is one of the newest health crazes growing in popularity across the world. The benefits of inversion therapy primarily revolve around the decompression of the spine, as its main goal is to relieve pressure from the spine for better movement and longevity. Inversion therapy comes in many forms, including gravity boots and inversion tables, both of which target the back muscles and joints. The idea of hanging upside down and having all the blood rush to your head may not be too appealing on the surface, no doubt about it. And indeed, there are both pros and cons to inversion therapy. For most athletes, finding a safe middle ground is a difficult but worthwhile pursuit. This article aims to further delve deep into the use of inversion tables and how inversion therapy can be a welcome addition to our daily lives. The concept behind the inversion table is pretty simple: both of your feet are tied to the end of the table, which holds it in place. You are then tilted downwards with both feet up, and you control the steepness of the angle according to your own preferences. 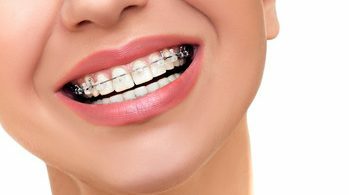 Although it has grown in popularity just recently, inversion therapy has been applied since antiquity. Archaeologists have discovered ancient representations of inversion therapy in early cave drawings, which depict people hanging upside down for therapy. But for modern day chiropractors, inversion therapy, in whatever form it comes in, is a great remedy for back pain and spinal complications. Stretching out the vertebrae offers many benefits, including an improvement in the overall health of joints, relaxation of the muscles, and pain relief. It also helps increase the flexibility levels of the body, as well as on muscle tone and definition. 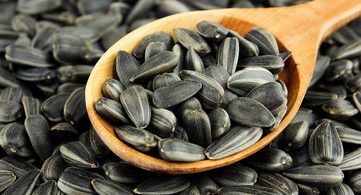 And for those dealing with varicose veins, the improved circulation of the blood pulls it away from the veins too much, which then relieves it and lessens its effects. Inversion tables are also said to be an optimal exercise tool that can help prevent injuries. The stretching that it does to the body and back helps their joints become more mobile, as their muscles and ligaments experience and increase in circulation. 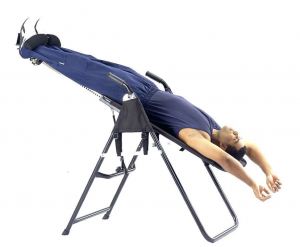 The best part about using an inversion table is that it does not require too much time to have an effective stretch. All you will need are a few moments of your day, and that amount of time is already said to be highly effective for you to get the results that you want. Not everyone is wired and built the exact same way, and rightfully so, some people will not be enjoying the same benefits of using an inversion table. Specifically, people with high blood pressure may want to avoid this exercise, especially since the sudden rush of blood to the head may lead to more adverse effects. Of course, it goes without saying that inversion therapy is not suitable for pregnant women as well. Doing this exercise as the main workout routine may also not be a good idea, especially if it is done through prolonged periods. It can backfire and actually aggravate an existing back condition, which can only lead to bigger problems if done continuously. Being inverted for too long can also cause ligament deformation, since the prolonged pull can slowly but surely cause tears. Like in anything in life, everything should be done in moderation. 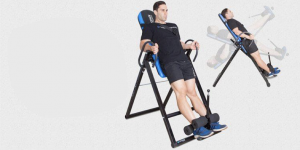 For such an intense and grueling exercise, finding the right inversion table that would suit your needs is very important. You would not want an inversion table (that is expected to hold your entire body weight) to suddenly break and leave you falling head first onto a concrete floor. Naturally, you want an inversion table that will decompress your spine without giving you any injuries. So before purchasing one, you must take a look at different factors, such as how much weight the table can hold, how easy it moves from one position to another, the simplicity in structure, and how it handles an entire human body as it is fully tilted on a sharp downward angle. There are definitely a lot of brands out there that you can make use of, and it would be advised for you to do a good amount of research before spending your hard-earned money on an inversion table. Find a brand at a reasonable enough price, but never go for a cheap, questionable brand that holds a risk of leaving you injured. While working out and exercise is indeed beneficial to the body, not every single apparatus or program will turn out to be as helpful to one person as it may have been for another. And while there are many benefits of using an inversion table, you must also consider the drawbacks. For best results, it would be best to first consult a physical therapist or physician. The advice of a doctor or physician can turn out to be very helpful, especially for first-timers. Always do your due diligence and take the necessary actions to reduce injuries. Prevention will always be better than the cure. 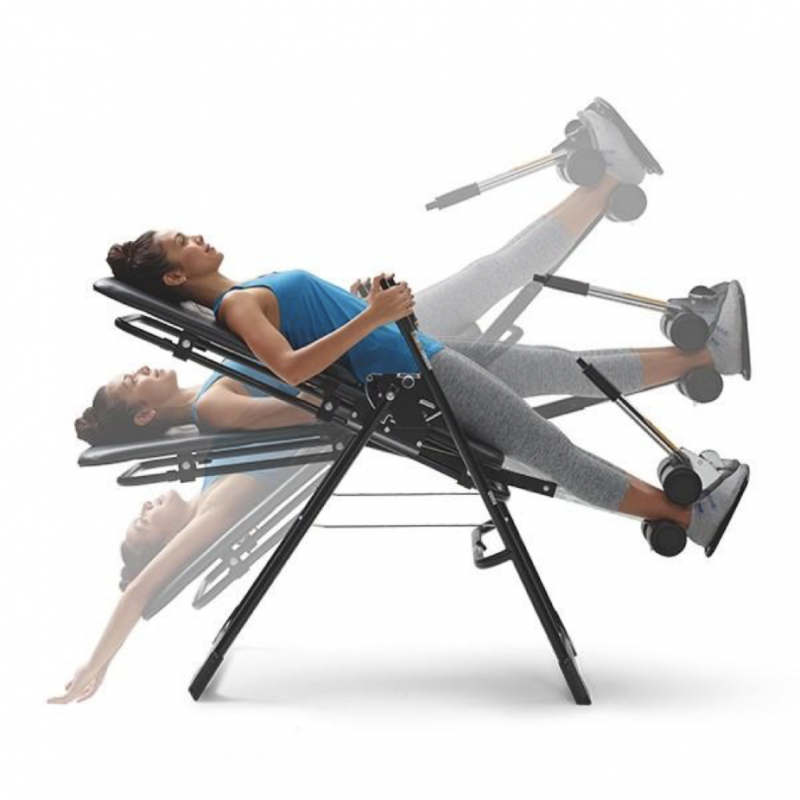 With that said, inversion tables are deemed to be a vital part of many people’s exercise routines, so consider one today. Today’s Guest Post comes from Ben Breda, founder of BestHealthGear. Ben is a fitness enthusiast with a particular interest in “weird” health equipment, like inversion tables, vibration machines, and more. Thanks. The teeter hangs inversion table is a great option.